More than 44 million Americans have a side hustle, according to Bankrate. Especially for millennials, side hustles have become important to make enough money to take adult financial steps. The benefits of working in real estate for your side hustle? There are a few. Real estate is a career that you can customize to your current needs and goals. Here are three benefits of working in real estate for you to consider if you’re looking for your next side hustle. In real estate, you’re not making an hourly wage but you’re earning commission on transactions. The more transactions you do, or the bigger transactions you do, the greater opportunity there is to increase your earnings. This is important when it comes to side hustles where your time might be limited. Instead of capping yourself at an hourly wage, you have a chance to maximize your earnings. Wondering how much real estate agents and real estate brokers can expect to make? This post can explain the details. FREE Guide: Become the most forward-thinking agent in your market. 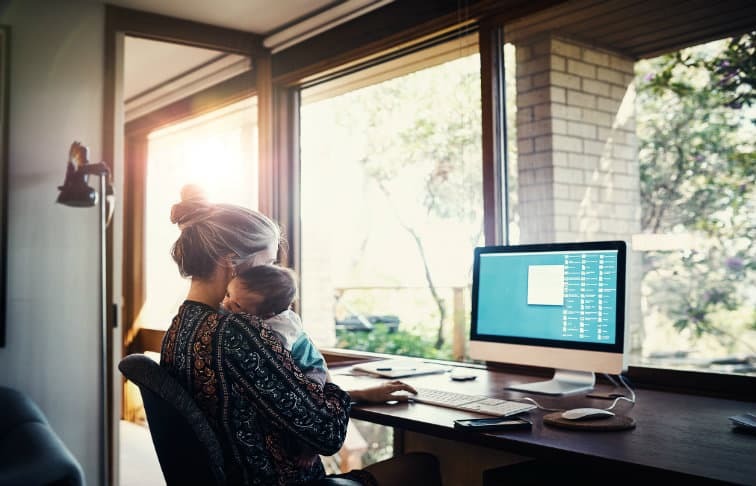 One of the key benefits of working in real estate for people looking to take on a side hustle is that real estate is a flexible job that allows you to set your own hours and work when it’s best for you. You can wake up early to answer emails, show homes after your traditional 9-to-5 job and squeeze it all in. While the hustle and bustle might not be for everyone, if you’re trying to figure out how to take on a side gig and juggle two jobs, real estate might be a good fit for you. Pro tip: Check out how these real estate professionals juggle their side gig, real estate career and being dads. Side hustles don’t have to be boring, meaningless work that you’re just doing to pay the bills. In real estate, you are meeting new people all the time and helping them find their dream homes. You get clients into homes where they’ll make cherished memories. It’s a rewarding aspect of the job that can help keep you motivated even on tough weeks. This was actually ranked one of the top reasons real estate agents love their career in a national study that ranked real estate as the number one happiest career overall. Turns out being around people and making them happy also makes you feel good in return. If you’re wondering how to get into real estate for your side hustle, here are some important steps to get you started. Quality real estate education builds the foundation for a great future career. Before you take the licensing exam, you’ll want to start your career off with the pre-licensing course. Every state has different licensing requirements but you’ll definitely want to make sure the school you choose is accredited and licensed in your state. For information on your state’s requirements, you can search the list of states here. Don’t be scared by the word exam, if you don’t love school there are a lot of resources that can help you prepare to pass the exam. Our Real Estate Exam Prep Master, for example, helps you focus on studying the right knowledge that you’ll need specifically for the exam. Plus, there’s a money back guarantee. If you don’t pass, you don’t pay. Finding mentors to help you with your first transactions so you get off on the right track and the start growing your real estate business. Not sure where to start? Check out some brokerages in your area to find out if that environment is a good one for you. There are several pros and cons you have to weigh when deciding on a brokerage, but one of the benefits of researching brokerages is that you’ll get to know other agents in the process. Knowing agents in your market and developing important connections will push you forward as you begin your career. Many real estate professionals get into the business because they love the benefits of working in real estate. This story about Amanda Todd, a stay-at-home mom who became a top-earning real estate professional is just one example. We also love the story of Lori Burrows-Warren, who was attracted to the profession because she got to be her own boss. Whatever your scenario is, find the benefits of working in real estate that would help you out the most and maximize them in your future as a real estate professional.